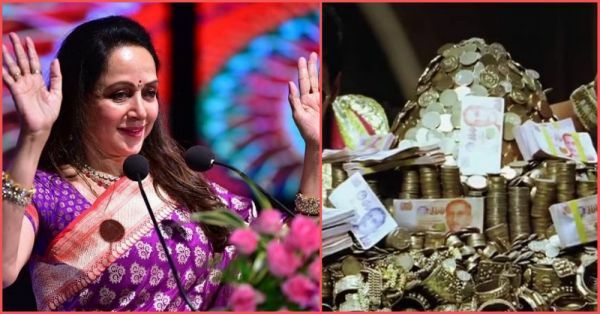 Hema Malini Is A Billionaire: Bollywood's Dream Girl Declares Assets Worth Rs 101 Crores! Hema Malini has been named again as BJP's candidate from the Mathura constituency in Uttar Pradesh for the upcoming Lok Sabha election in April. The actress recently divulged her assets in an affidavit that she filed with the poll panel. And guess what? The amount she disclosed was as dreamy as the Dream Girl herself! Hema Malini is a billionaire with the value of her assets having increased by a whopping Rs 34.46 crores in the last five years. Wow! 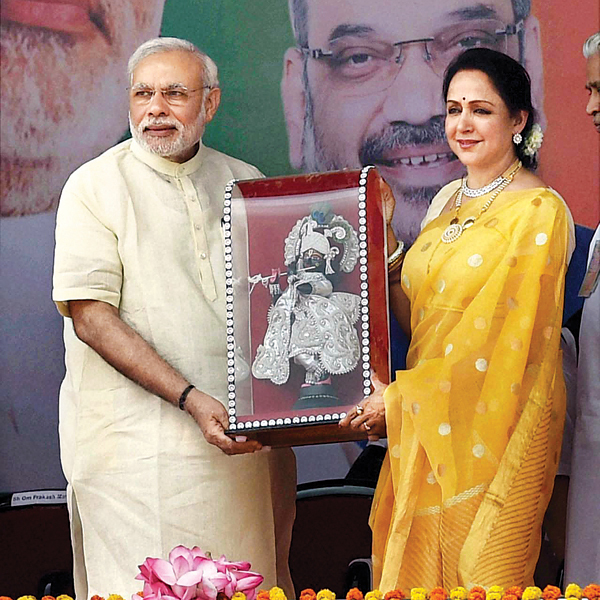 The affidavit revealed that Hema Malini currently owns a total of Rs 101 crores, including bungalows, jewellery, cash, shares and term deposits, while five years ago before the 2014 general elections, her total assets had been valued at nearly Rs 66 crores. Quite a leap it has been now, hasn't it? 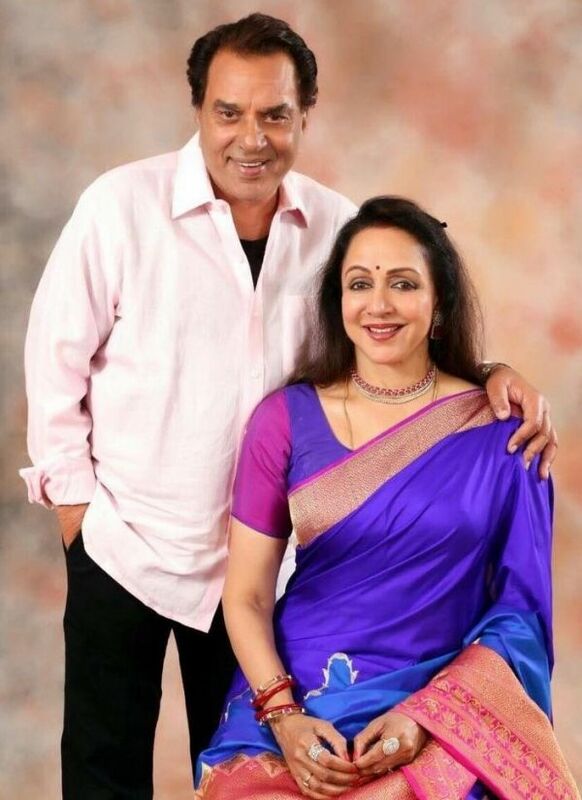 According to Hema Malini's affidavit, the value of her actor-husband Dharmendra Singh Deol's assets grew to Rs 12.30 crores during the corresponding period. The affidavit, accompanied by her income tax returns, revealed that the couple earned Rs 10 crores each during the past five years. Counted among the country's billionaires along with his wife, Dharmendra's total assets have been valued at over Rs 123.85 crores. A lot of revelations have been made by this affidavit, including a cavalcade of cars owned by the actress' family. The actress-turned-MP has two cars, including a Mercedes, bought for Rs 33.62 lakhs in 2011. Her other car is a Toyota that, she said, she bought for Rs 4.75 lakhs in 2005. The details of Dharmendra's assets in the affidavit indicate his passion for 'vintage' cars. His other old vehicles include a Maruti 800 car and a motorcycle. After being named as a contestant in the upcoming election from the Mathura constituency, a lot of people dissed her as an 'outsider'. However, the 70-year-old veteran film star called herself "a Gopi of Lord Krishna" after filing her papers for the April-May polls. "I have visited Mathura over 250 times," she said, asserting that she had nurtured the constituency well. 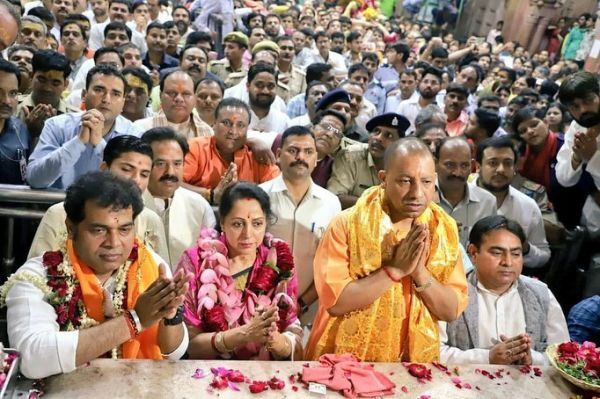 When the reporter asked her if she was certain about winning the election, she said, "There's a lot that I've done for Mathura, but a lot of my plans for the progress of the city are still in the pipeline. Brajshetra is not a small area. It is huge. It has nearly 1000 villages, and therefore, it is tough to please everyone. But I have done good things here. And people are very happy with me. I'm confident I'll win because I've done a good job. I don't remember much, but I have worked a lot." When asked about her views on when the Chowkidar aka Narendra Modi was trolled for the Pulwama attacks, she took his side and said that the PM had her full support: "Everybody is aware of the efforts PM Modi invested. The entire world knows what he has done for India. Five years haven't been enough to bring about enough development. Let opposition speak what they wish to. Our PM has worked selflessly. None of the previous PMs has been this selfless. I will continue to support him. This is the reason why I'm fighting from Mathura, again." Prior to this, Hema Malini was awarded Padma Shri by the Union government for her contribution to the field of arts and theatre.